We recently published our list of gaming laptops powered with the latest GTX 10 series Notebook, and on that article we mentioned that Acer hasn’t updated their gaming laptop yet. 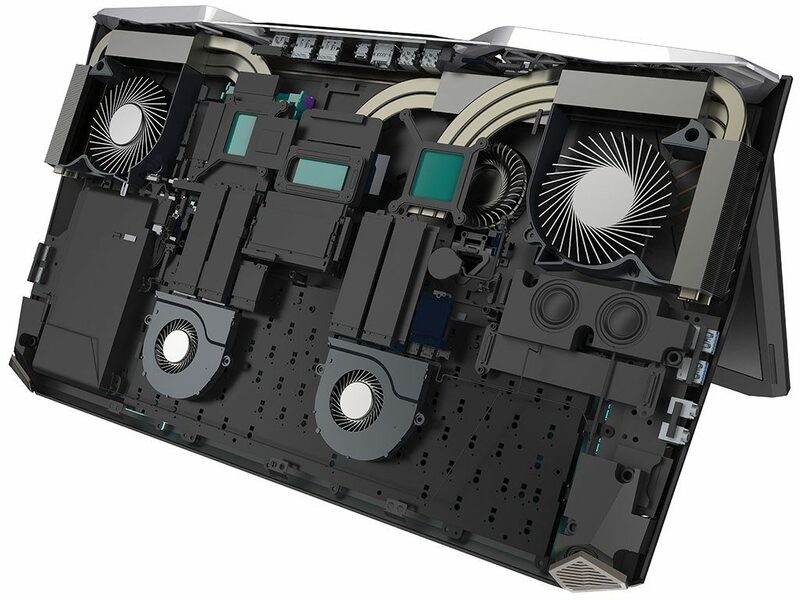 Well, Acer recently revealed their new gaming laptop and I wasn’t expecting that they would update not only the GPU portion, but the entire gaming laptop itself. 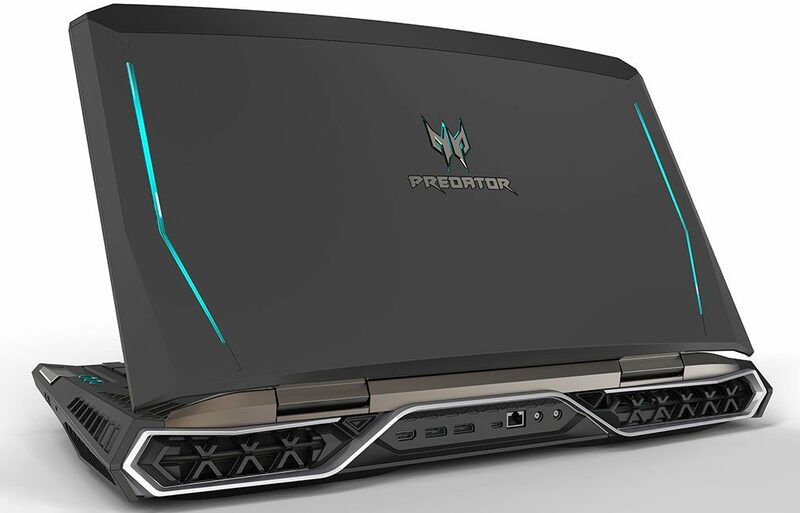 Meet the Acer Predator 21 X, an insane gaming laptop powered with the latest 7th gen. Intel Core Kaby Lake K processor paired with two GTX 1080 graphics card in SLI configuration, with a huge 21″ display. That’s not all, the display is not just an ordinary IPS G-Sync display, is a 21″ curve display. 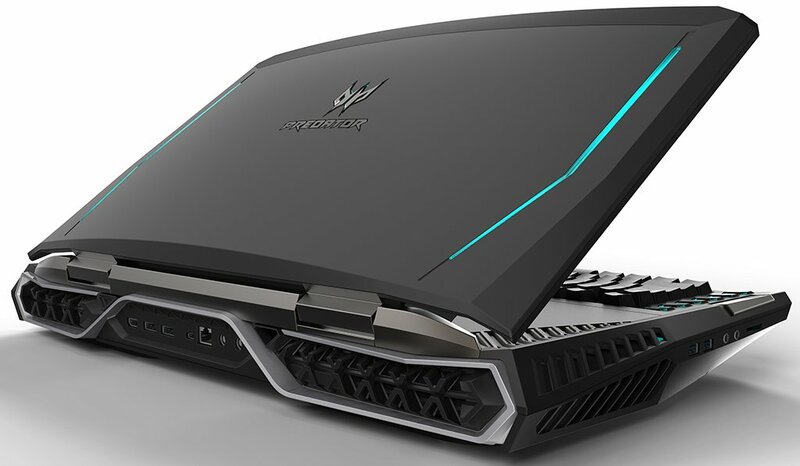 Acer has really pushed the boundaries of a gaming laptop with the Predator 21 X. This is really a monster gaming laptop, a real monster machine! But honestly, would you even want one if you have the money? Check out more details below. Okay, let’s dissect this gaming machine one by one as it has tons of features and weighs a ton a well, well not really a ton but it weighs around 8Kg! For starters, the upcoming Acer Predator 21 X will be powered with the latest 7th Generation Intel Kaby Lake processor. Intel has recently announced the U and Y series, but I don’t think that this gaming machine will be powered with those mobile processors. Instead, I think it will be powered with the 7th Gen. Intel Core K series (unlock) mobile processors which Intel hasn’t officially announced yet. The CPU will be paired with a generous amount of DDR4 memory and two GeForce GTX 1080 Notebook graphics processor in SLI configuration. This should be very much sufficient for any 1440p or 4K gaming. However, I am a little bit disappointed since the 21″ IPS curve display with G-synch will only feature a 2560×1080 resolution. But who knows, Acer might release a 4K version as well, just like what MSI and Asus are doing. The Acer Predator 21 X will feature a GbE port and a 2T2R 802.11ac WiFi + Bluetooth module with two physical antennas at the back. It will also have USB Type-A and Type C ports, two DisplayPorts and an HDMI port. Acer hasn’t mentioned anything yet about its storage options, but I’m guessing it will have both M.2 PCIe for NVMe SSD and 2.5” drive slots for HDD/SSD. 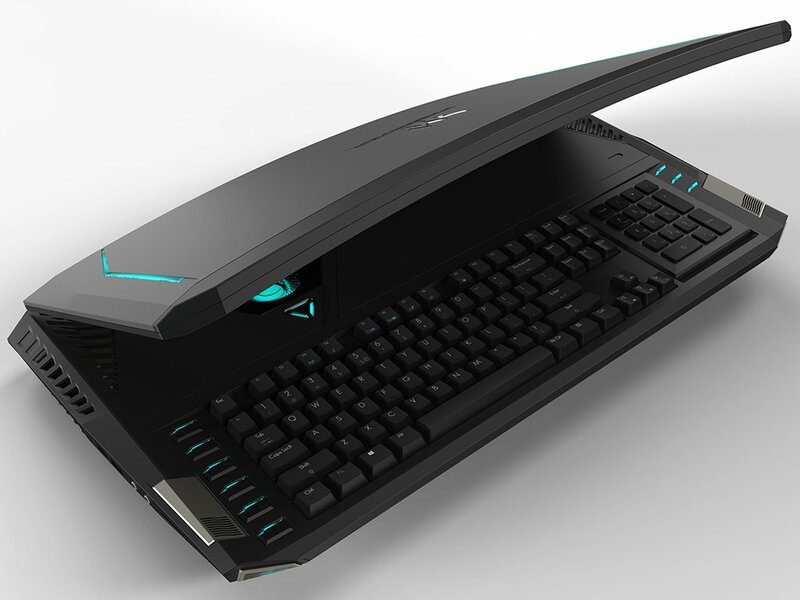 There are a total of 5 fans built into the Acer Predator 21 X, and one of the fans can be seen through a window just above the keyboard. Speaking of the keyboard, it will be a mechanical keyboard with Cherry MX switches, and has programmable buttons as well on the sides. There is a numeric keypad but it doesn’t have mechanical switches. However, the numeric pad can be turned into a touch pad just by flipping it. 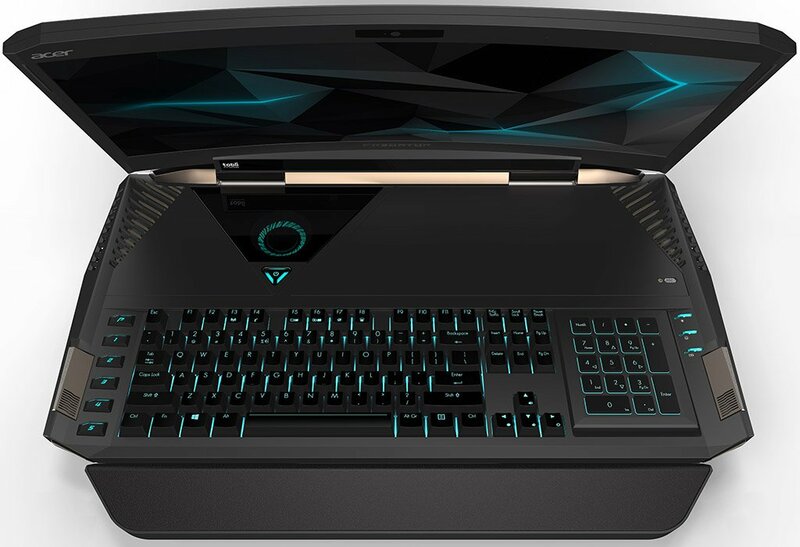 The Acer Predator 21 X gaming laptop will also feature Tobii infrared eye-tracking sensors, four integrated speakers with two built-in subwoofer, and some more features and specs that Acer hasn’t revealed yet since some of those are currently not announced yet. Acer hasn’t disclosed pricing information, but I guess it will be priced above $3,000 at least, and it won’t be available until Q1 of 2017.